SAP spread digital literacy, foster economic growth and drive social change all over Africa. the German Federal Ministry for Economic Cooperation and Development as strategic partners, the nine-day event hosted over a thousand live workshops across 30 African countries as well as online courses, ranging from Scratch all the way to Web programming. 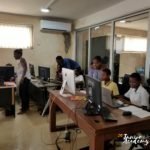 This past week, DreamOval offered free coding sessions at various schools in Ablekuma Central, Ashiedu Keteke, Ablekuma South and North, Ayawaso Central, East and West as well as Osu Klottey and remains focused on elevating the digital skills of teachers and children in other areas of Ghana too. Founded and orchestrated by SAP in partnership with the Cape Town Science Centre and the Galway Education Centre,Africa Code Week relies on a growing network of nonprofits, government bodies, educational organizations, NGOs and corporations across the continent.And for the second year in a row ,Google Inc. supported Africa Code Week 2016 by empowering organisations across Africa with micro-grants so they could multiply computational thinking and coding activities all over Africa using Google CS First enrichment materials. “Beyond coding as a language, we are imparting the right skills and attitudes and a culture of innovation and creativity among young Africans”, says Claire Gillissen-Duval, Director or EMEA Corporate Social Responsibility at SAP and Africa Code Week Global Lead. “Africa Code Week is also shedding light on how public-private partnerships can be renewed in the digital age for greater impact: if young Africans see that governments, nonprofits and the private sector are working as one voice to deliver on joint education priorities, trust is seeded and they feel encouraged to start owning and living their dreams,” she concludes. In preparation for Africa Code Week 2016, SAP has deployed its own IT experts as skilled volunteers to train 6,000+teachers, parents and local volunteers throughout the year, all over Africa. These live Train-the-Trainer sessions, combined with access to online courses on the openSAP platform beyond the actual event time, enable Africa Code Week and partners to scale the impact continent-wide and in the long run. 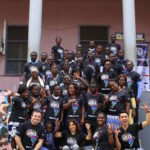 “Africa Code Week is all about mobilising the collective expertise and resources at the local level; Train-the-Trainer sessions provide a sound, scalable structure for inter-group knowledge sharing, unlocking people’s potential and desire to serve as resources for each other,” says Gillissen-Duval. 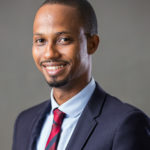 As the largest digital initiative organised on the African continent, SAP – Africa Code Week received a C4F (Communication for Future) award in the category ‘Education of the Future’ from the World Communications Forum in Davos in March 2016, as well as the Judges’ Choice Award in the Corporate Initiative Category from the MIT Inclusive Innovation Competition in September 2016. The DreamOval Foundation manages all corporate social responsibility initiatives by DreamOval Ltd. It was set up as a legal separate entity during the first quarter of 2013 with the aim of using knowledge to create a better society in Ghana. Our aim is to bridge the knowledge gap through the creation, sharing and utilization of knowledge with Education and Technology being our key focus areas. The Foundation is funded by a percentage of DreamOval Ltd’s profit after tax which is allocated towards the Foundation’s projects. As market leader in enterprise application software, SAP (NYSE: SAP) helps companies of all sizes and industries run better. From back office to boardroom, warehouse to storefront, desktop to mobile device – SAP empowers people and organizations to work together more efficiently and use business insight more effectively to stay ahead of the competition. SAP applications and services enable more than 300,000 customers to operate profitably, adapt continuously, and grow sustainably.